We’re very excited to unveil a review of our skincare by motorsport loving Courtney Prince and her mother Emma Prince. If you haven’t read our interview with Courtney yet you can find out all about her and her racing here. 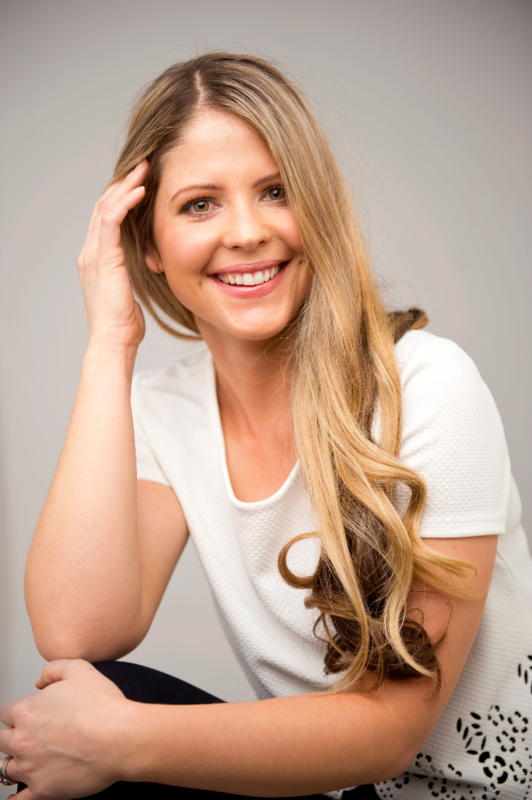 Our Founder, Tanya Felli, will explain how our skincare gave Courtney and Emma some of the wonderful results they mention. Courtney says, Love War On Red really nourished her skin and didn’t strip it of nutrients. Courtney says, our REVIVE Dragons Blood Rescue & Restore Exfoliating Treatment is Award Winning. Emma says, the Nurture Peptide Defense & Love Army of Antioxidants reduced the puffiness of her skin and she saw a reduction in fine lines. We’d like to thank Courtney and Emma for their lovely review and to say that we are thrilled that they saw such great results from our skincare! 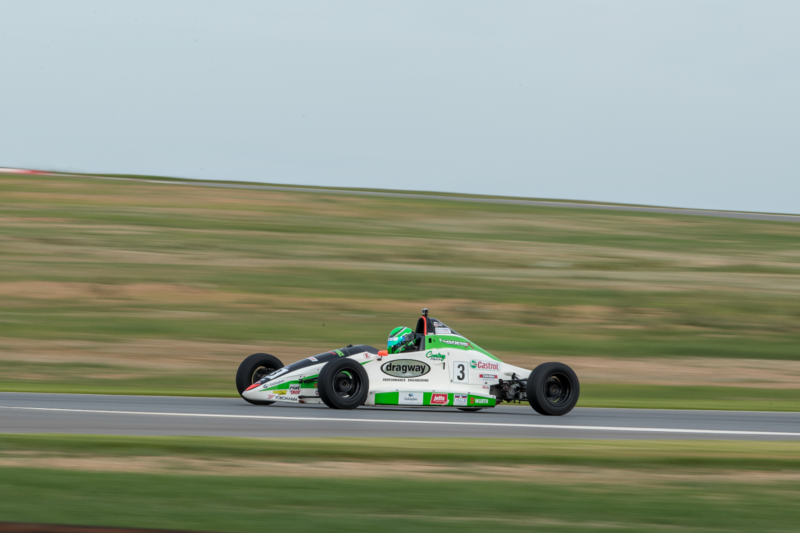 Meet Courtney Prince – The Teenager Tackling Motorsport & Winning! 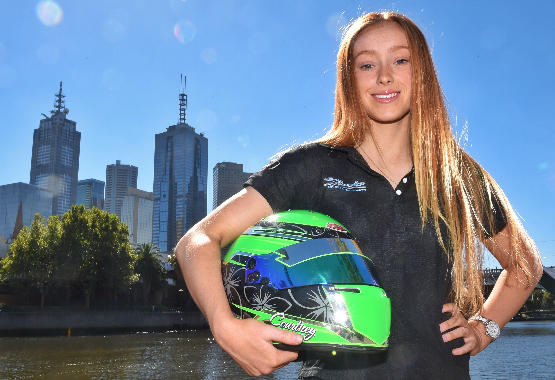 Earlier this year we were lucky enough to be introduced to Melbourne local, Courtney Prince, a busy Year-11-Student and a powerhouse young woman taking the world of motorsport by storm. Courtney races as part of the Formula Ford category and she is the youngest female competitor ever! That’s pretty impressive right? It’s pretty common knowledge that racing cars is not cheap, to say the least, so Courtney and her very supportive mum and dad, Emma & Cameron, need the support of businesses to make Courtney’s racing dreams a reality which is why for the entire month of July we’re putting your dollars behind Courtney. 10% of all of your purchases will go toward helping Courtney to finish out the 2018 racing season and continue into 2019. PLUS you will receive a $10 voucher with your purchase to go toward your next order. The entire month of July we’re putting your dollars behind Courtney. We’re going to let Courtney tell you the rest of her story, because she tells it best. Here’s what Courtney had to say to Tanya. Tanya: What attracted you to racing? Courtney: Since I was three I have been riding motorbikes and anything that went fast. I also would go and help Dad work on his racecar. After a few years I asked my Dad if I could race dirt bikes and he said no it was too dangerous and suggested go-karts instead. I started racing go-karts when I was eight and then went to Formula Ford at fourteen, which I’m still currently racing. Tanya: How old were you when you realized you wanted to make a career out of racing? Courtney: I was about nine or ten when I realized I wanted to make a career out of racing. After racing go-karts for a couple of years it made me become very passionate about motorsport. Tanya: Tell us about your Formula Ford racing career so far? What have been the highlights? 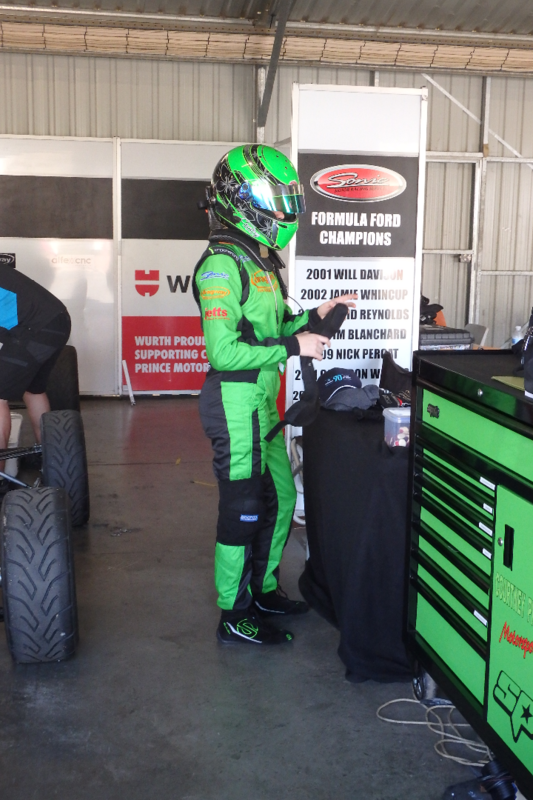 Courtney: I have been really enjoying racing formula ford; I love the car and changing gears. I’m currently in my second year of racing formula ford and I have had some really good results so far. My highlights would be coming third just recently at the new track the Bend in Adelaide. My other highlight would be at Winton at the beginning of this year, the race previous I got taken out when I was in fourth; I went back to fourteenth so in the next race I came from fourteenth to fourth. Tanya: How do you feel about the fact that you are the youngest-ever female competitor? Courtney: It is a great achievement of being the youngest female ever to race in Formula Ford. I am also currently the only female in the field against about twenty-five to thirty males. "My absolute favourite thing about racing is beating the boys and always has been." Tanya: What is your ultimate dream for your racing career? Courtney: My ultimate dream for my racing career would be to become an F1 driver, however if I got a full-time drive in racing I would be extremely happy. Tanya: What is your absolute favourite thing about racing? Courtney: My absolute favourite thing about racing is beating the boys and always has been. Tanya: Outside of racing what are some of your interests? Courtney: Outside of racing I have an interest in fitness and horse riding. I love to go to the to gym train or on my bike, I train every day. I also love to ride horses; I have a horse at a friend’s house, which I ride on my weekends off. Tanya: Work-life balance is always a big topic these days for modern women, but you face a different challenge, school-racing balance, how do you manage everything? Courtney: To manage my school-racing balance I do all my homework during the week so I have the weekend free to race or train. If I take a Friday and Thursday off to go to the track then I get the work that I will miss out on and complete that before I go. As I am currently in year eleven, I do any exams that I will miss earlier in the week. Tanya: How many more races do you have this year and what are you most looking forward to for the rest of 2018? Courtney: I have five races left for the 2018 season. I am most looking forward to the round at the Bend with the Supercars in August, as I really love that track and I get to race at the same event as the main categories in Australia. Tanya: Being such a man dominated sport, who are your role models? Do you have any particular female role models? Courtney: My role model is Lewis Hamilton, an F1 driver. I look up to him as he is a great driver and does really well with consistently being up the front. In my area of racing, not many females have made it into a category, except for Simona De Silvestro, she is currently racing Supercars and had previously raced Indy Car. I look up to her as she did really well in Indy Car. Tanya: What is your pre-race routine like? Courtney: Every day I train to ensure that I am fit enough to drive the car at the best I can. The week leading up to the event I make a track map with braking markers, throttle points and car placement as every track is different. I study these and I also watch footage that has been taken from my car if I’m been to the track or another car in my team that has been there. This makes the track fresh in my head so when I go out on track I can just do what I need to do. Tanya: What does it feel like when you’re racing around a track at 220km per hour and how do you keep focus? Courtney: When I am going 220km per hour I don’t really feel it as it’s a race car, it is built to go fast. I have also been going fast in vehicles since I was eight, I know no different. When you are out there you need to be 100% focused as you are going at a high speed, split second decision-making so I need to be focused to perform well. To keep focus you talk to yourself in your head a little bit just to keep pushing yourself. Tanya: We know you have quite a strict physical training routine to support your racing career, do you have a diet or any particular foods to eat to help you professionally? Courtney: I do not have a strict diet, however I have to eat well to feel my greatest and have lots of energy to train, do homework and race. I mainly stick to a piece of meat and a variety of vegetables, basically every vegetable except carrot as carrots have a lot of sugar in them. I also try to stay away from pasta and bread and also fast food. Tanya: What would you say to young girls who are watching you pave this unique path for yourself and thinking about following in your footsteps? Courtney: You have to dedicate yourself to it 100%, this has to be everything you want as it requires a lot of time and commitment. You also have to have pretty thick skin to race well against the boys and not let them intimidate you on or off track. To keep Courtney racing and beating the boys we’re giving 10% of your purchase this month to the lovely Courtney! PLUS you will receive a $10 voucher with your purchase to go toward your next order. How Our Skincare Is Different! There Is An Option For All Skin Types & Concerns! The secret to our skincare range is the carefully selected natural and certified organic ingredients combined in 3 core products for 3 different skin types to create 3 simple steps that work. We use premium, cutting-edge ingredients to produce both the core products in the range as well as add on Features to deliver additional anti-ageing benefits or healing and soothing properties to those who want to target specific issues or for advanced results. Angel Dusting is when a company uses a miniscule amount of an ingredient just so they can put it on the label and it’s not that uncommon. We do not do that! We use high active % levels! Every ingredient used in our products is used at a highly active percentage so you get the full benefits. 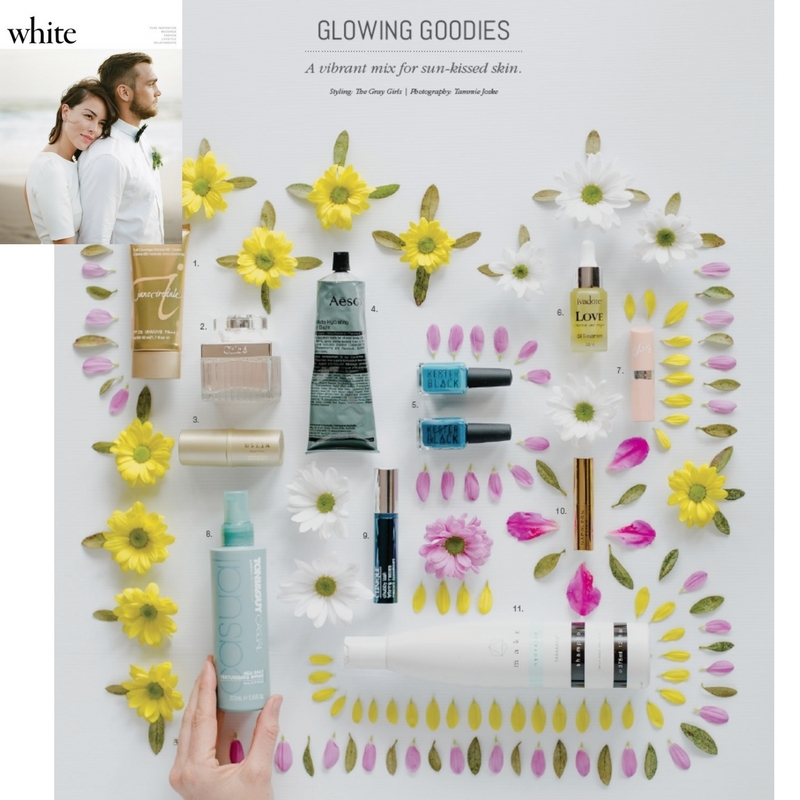 Plant, food and superfood derived ingredients! We have harnessed the natural power of plants, some common foods and even some superfoods! What Are The 3 Steps & What Do They Do? Our skincare has Main Base Ingredients, which have all been selected due to their vast benefits for EVERY skin type, regardless of age or skin problems. 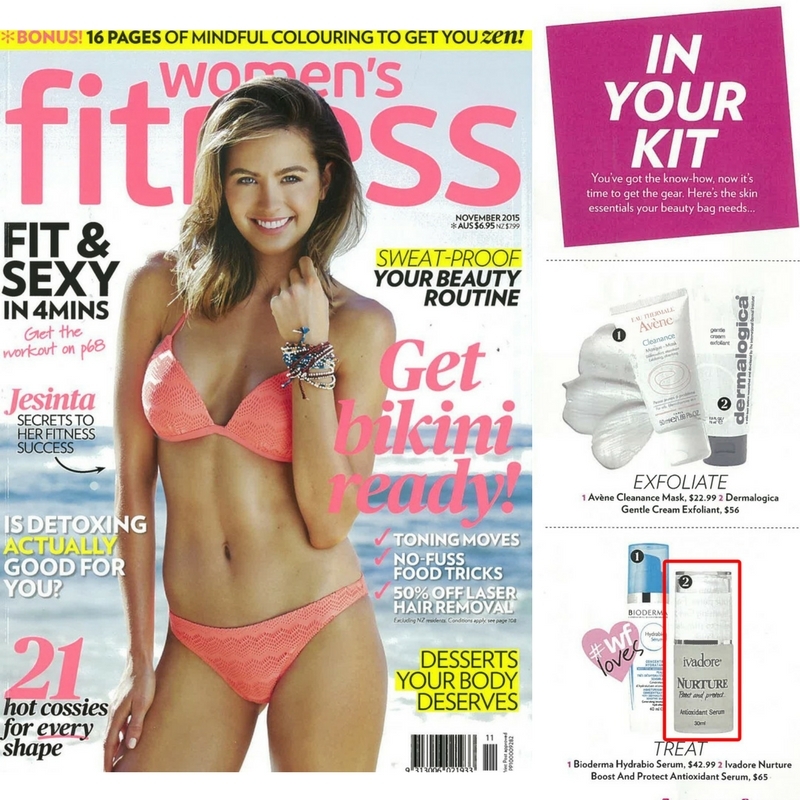 So let’s put the spotlight on some of these special skin-loving ingredients at the base of our skincare products. Pearl Powder…our Pearl Powder speeds up the skin’s natural metabolism. 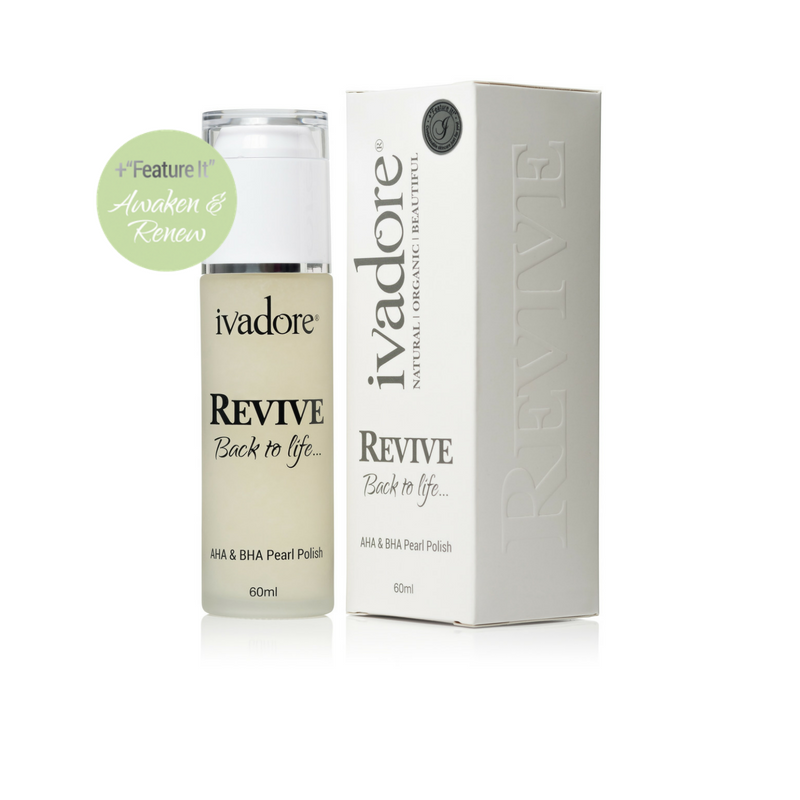 It actively tones and rejuvenates cells whilst also healing blemishes, minimising large pores and reducing redness. In other words this exceptional ingredient will be an essential part of every mum’s weekly skincare routine ensuring that the stress, environmental damage and everything else that goes with being a modern mum is gently removed from the skin every week leaving your skin rejuvenated and vibrant. The Ultimate Beauty Vitamin, Vitaplex...a dynamic concentration of essential beautifying vitamins, which will ensure mum’s skin gets everything it needs to be as beautiful as it can be everyday. Organic Camellia Oil… this amazing oil is truly efficient at multi-tasking just like every mother! 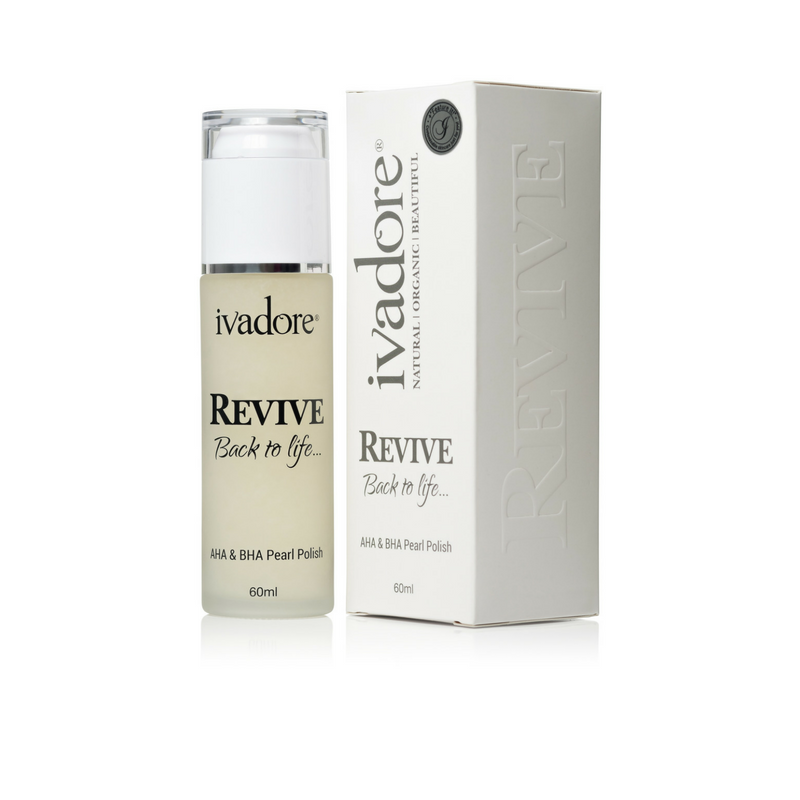 First of all it regulates balance in all skin types whilst also delivering exceptionally high levels of antioxidants into the skin to avert free radical damage. Meanwhile it’s also defending your skin as a form of natural sun protection with soothing properties AND it contains essential nutrients that nourish devitalised skin and emollients that create a healthy glowing complexion. PHEW! That’s a lot of hard work…sound familiar? That’s a little look at some of the exciting ingredients for every mum in our skincare, but I haven’t even gotten to the best bit yet! Each one of our skincare products for all skin types has two optional ‘Features’ that you can add to the Main Base Ingredients and today we’re going to talk about the one’s that will really make your skin glow! 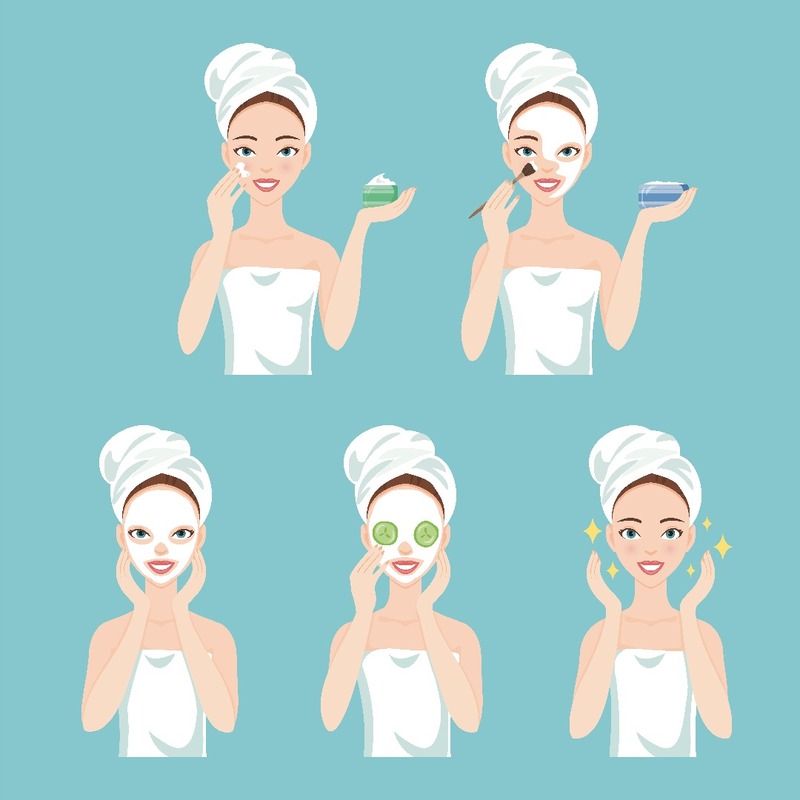 I know that whilst we all have different skin there are many common issues and there are also many common goals, for example most of us value anti-aging properties in our skincare. So when I formulated the ‘Feature It’ range I placed a significant emphasis on that common desire to preserve the youthful appearance of the skin. Let’s take a look at the anti-ageing extras for our Mature/Dry skin range! 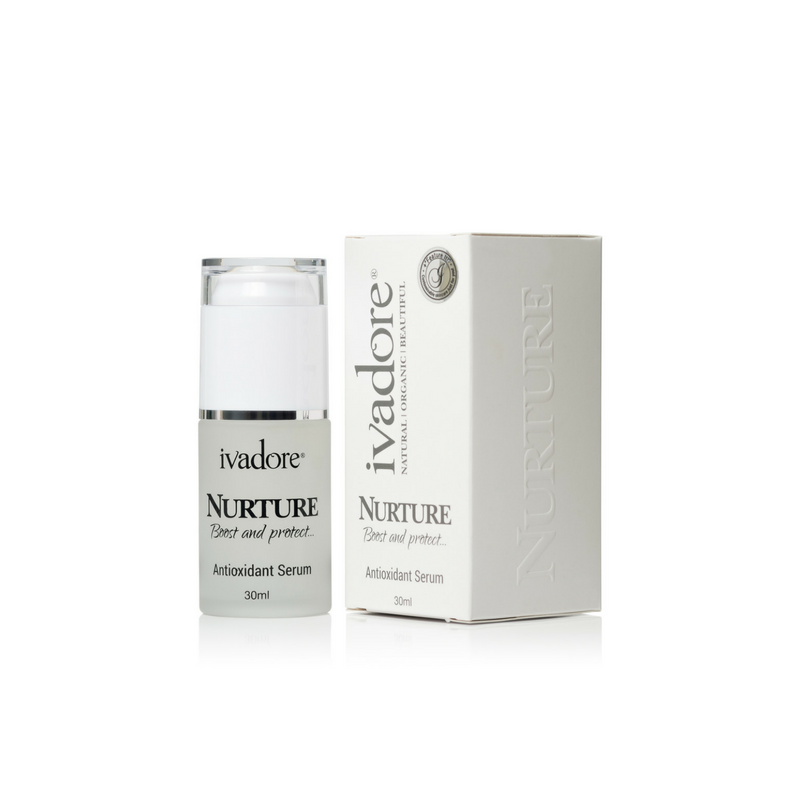 Get the lift you need with ivadore’s ultra concentrated antioxidant serum base + Peptide Defence. Its light weight formulation penetrates quickly, delivering active ingredients deep into the skin. 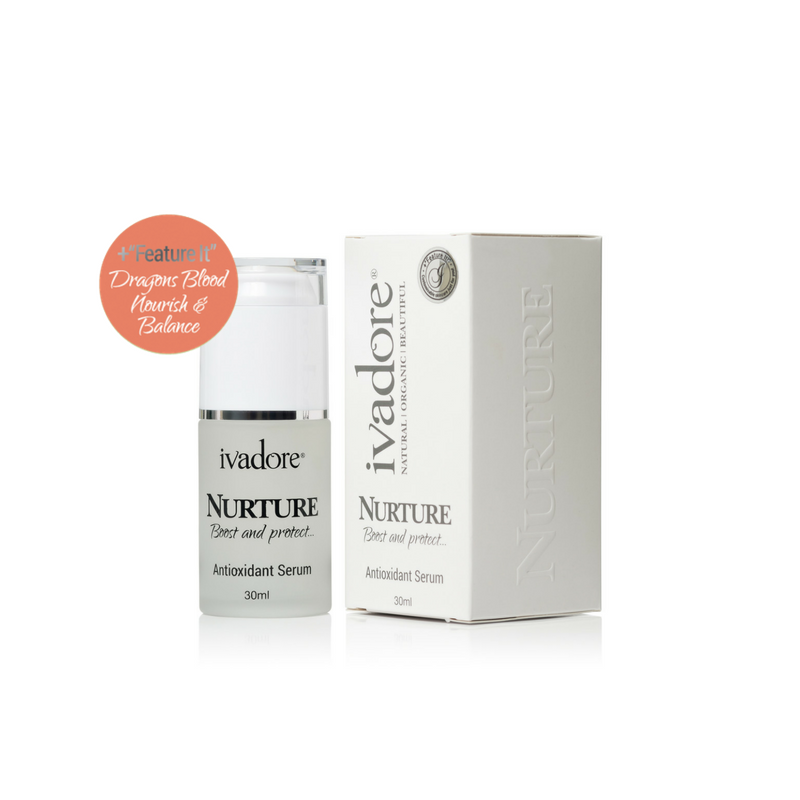 With a combination of vitamins E, C, B3, B5 and B6 infused in a Hyaluronic Acid base alongside a high concentration of added active Peptides that have been proven to reduce the appearance of fine lines and help promote youthful looking skin. It's A Natural Anti-Ageing Miracle! Give your skin the affection it deserves with ivadore’s deluxe oil treatment base + Army Of Antioxidants designed to soothe, nourish, hydrate and protect the skin and provide extra support for Mature/Dry/Dull or Tired skin types. It not only features an array of natures most powerful oils including Organic Camellia Oil, Organic Shea Oil and Organic Marula Oil but goes further to nourish devitalised and mature skin with superfood oils such as Acai and Goji Berry powerful in Antioxidants that will work on protecting your skin and provide nutrients that are needed to restore vital moisture helping you to achieve a smooth supple looking complexion. 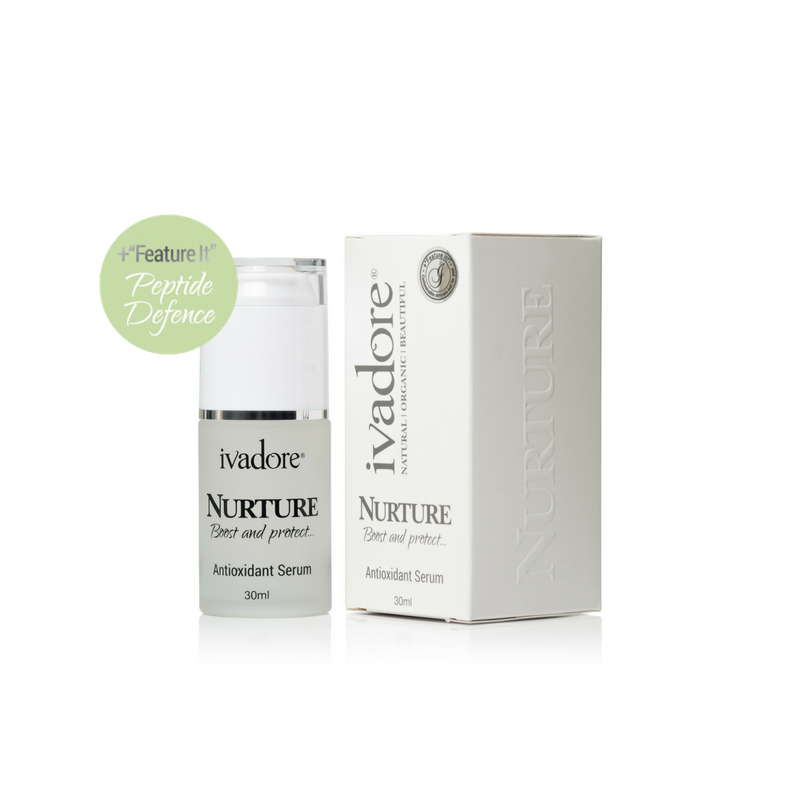 We've harnessed some of nature's most powerful antioxidants offering those with devitalised or mature skin the ideal way to protect and restore the skin, to produce a smooth supple complexion. Let’s take a look at the extras in our range for Oily/Congested/Combination & Problematic skin! Need to calm problematic skin? Remove unwanted blackheads or help balance oil production? Then our award winning Dragons Blood customisation add on feature is for you. This feature is combined with a high concentration of Dragons Blood from an Amazon tree which helps to stimulate cell regeneration and reduce redness alongside a high concentration of BHA’s to penetrate the skin and unclog pores. Calendula, Chamomile and lavender assist in soothing and nourishing the skin while willow herb and Andiroba oil contain anti-inflammatory properties to assist irritated skin conditions. We've used the cutting-edge ingredient Dragons Blood again to continue to encourage healing in the skin and to protect it. So Soothing! Willow Herb, Andiroba Oil, Rosalina Oil and Buriti Oil all have highly beneficial soothing properties to really Nurture troublesome skin. Nourishing & Nurturing Go Hand In Hand! Buriti Oil also provides the skin with essential nutrients including fatty acids, vitamins and beta-carotene. 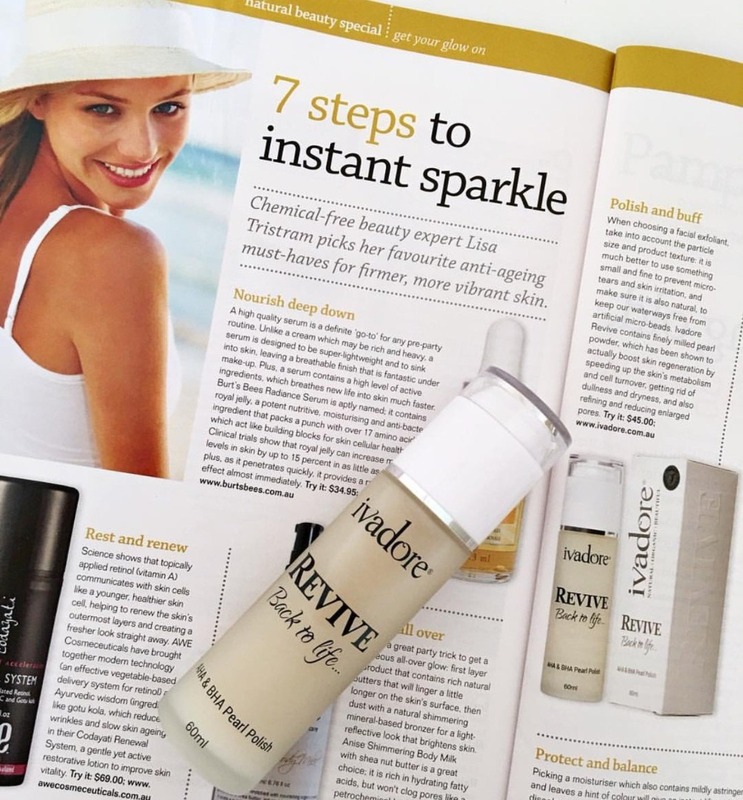 The Perfect Serum To Solve All Your Skin Problems! 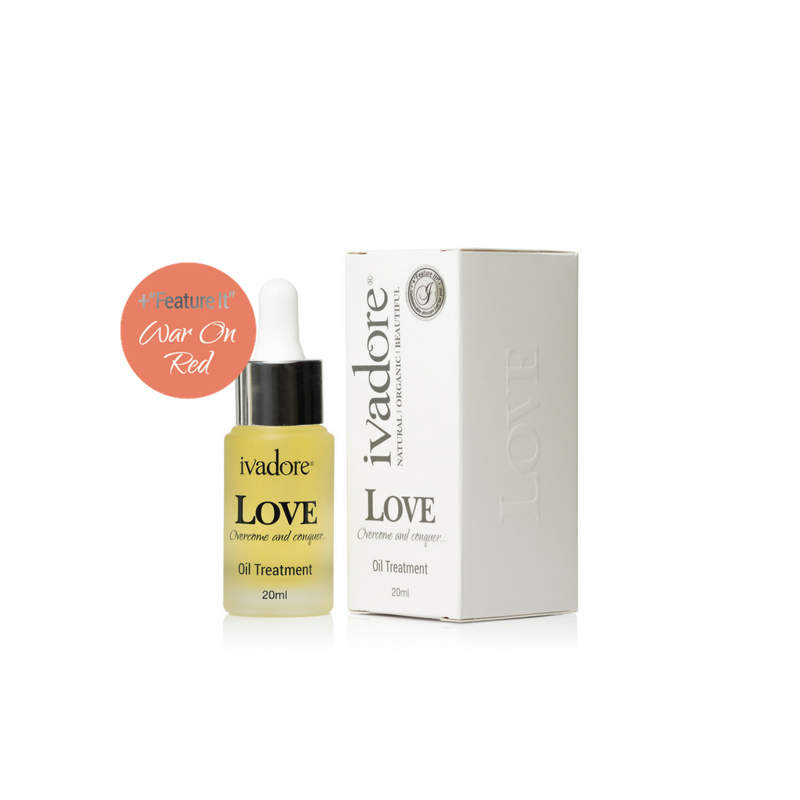 Give your skin the affection it deserves with ivadore’s deluxe oil treatment base + War On Red. It not only features an array of natures most powerful oils including Organic Camellia Oil, Organic Shea Oil and Organic Marula Oil but goes further by combining Parsley and Celery to combat Oily/Combination/Congested & problematic skin types. It also features carefully selected ingredients such as Watermelon, Jojoba and Willow Herb that help to soothe, balance and dissolve excess sebum in the skin, while adding essential nutrients needed for optimal skin health at the same time. 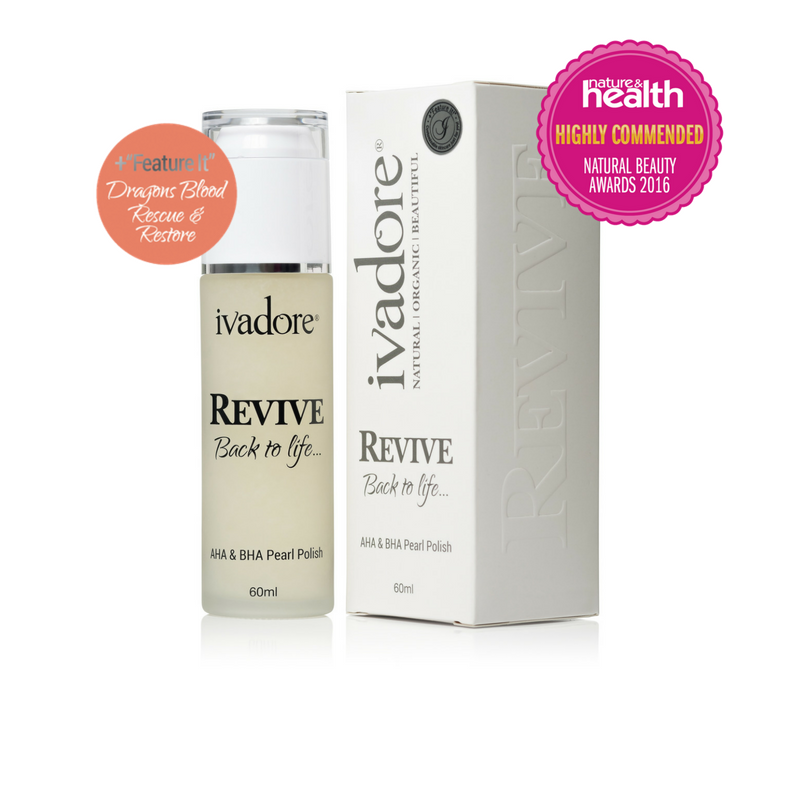 Bundle A Revive, Nurture & Love & Save 15%! 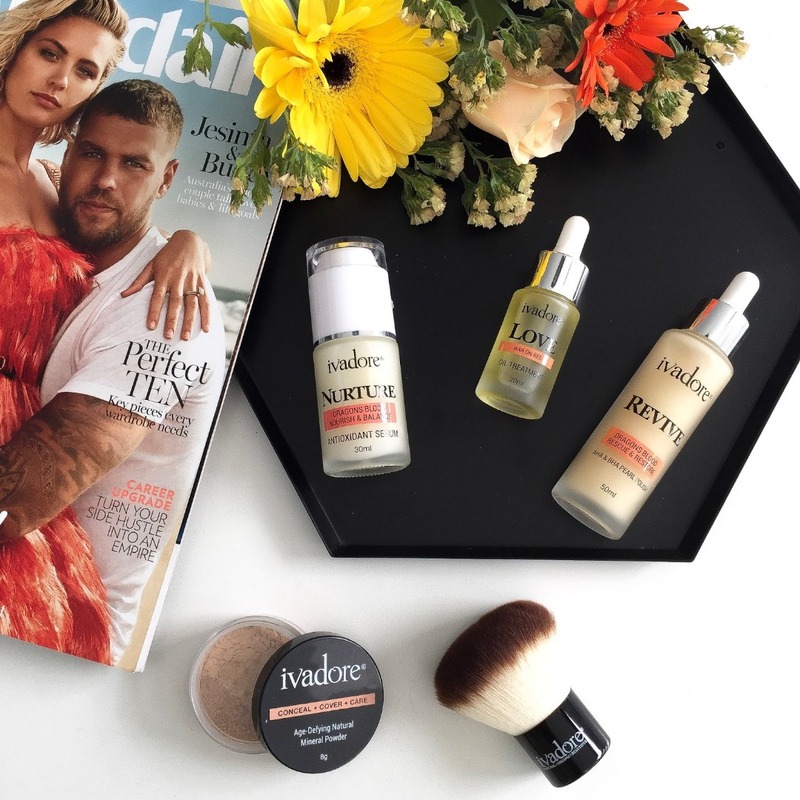 I am incredibly getting into natural and organic skincare, so when a selection of products from Australian owned and made ivadore landed on my desk, I couldn’t wait to try. 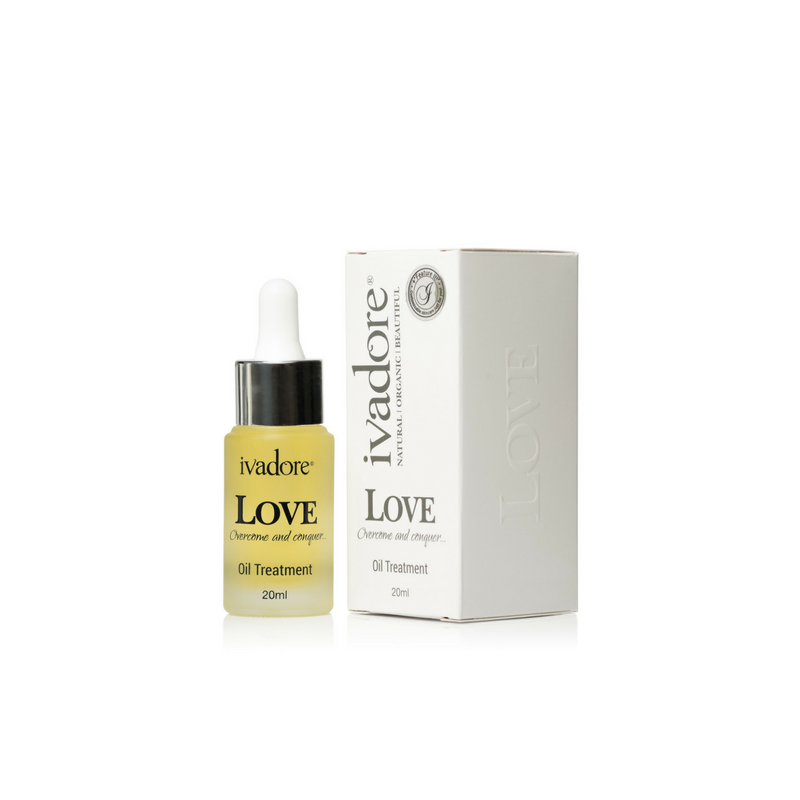 ivadore believe in using only the finest and purest natural ingredients at levels that are guaranteed to produce results., and the products are free from nasty chemicals, fragrances and preservatives, which sounds pretty amazing to me. 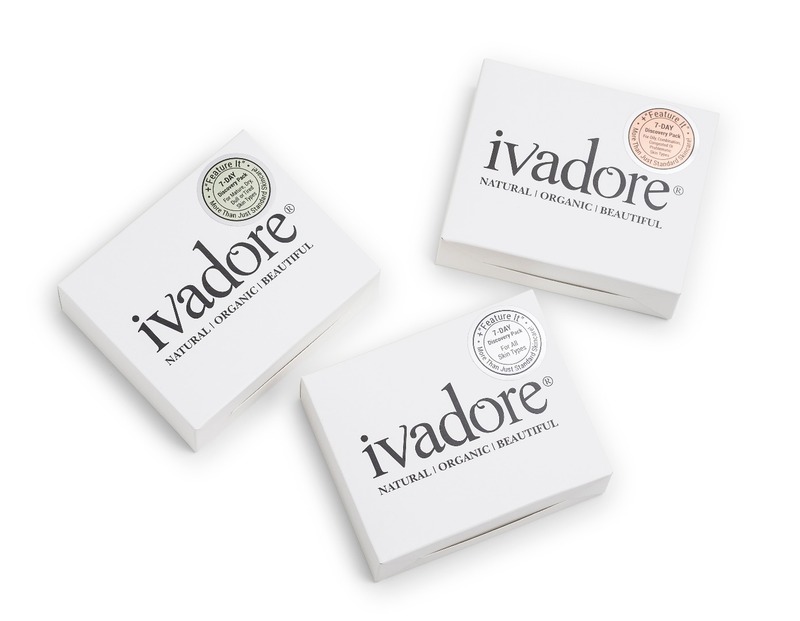 ivadore has three core products in their range, named to reflect their distinctive purposes, Revive, Nurture, and Love, and in addition, each of these core products are complemented and enhanced by two optional Features that you can select as an add-on to target specific issues for to achieve advanced results. I’ve put these to the test..